Following this year’s South by Southwest (SXSW) conference in Austin, Texas, it occurred to me that the progression of SXSW matches what I’ve seen – and what I hope – for our industry. Decades ago, the pharma industry defined digital in small and finite ways. It meant a website. Later, it might have meant a social media profile. But as we’ve grown, and begun to make our dreams reality, we’ve learned that thinking big is almost never a bad idea. And SXSW forces us to think big. From 3-D printed sushi to sloth-led meditation, from freshman politicians like Alexandria Ocasio-Cortez to octogenarian entertainers like Frank Oz, the team found all kinds of inspiration at SXSW this year. But the trends they connected – the connect-the-dots moments between disparate presentations and speakers – are what show us what’s most important. Here are the overarching concepts we’re thinking about after SXSW 2019. As patients increasingly take the lead and make more of their own healthcare decisions, the structure and function of the healthcare system are fundamentally evolving. Today, only 20% of a person’s healthcare decisions are driven by conversations they have with their doctor. The other 80% is determined by lifestyle and health choices people make before and after those doctor visits. Yet our industry is unusual in that it hasn’t really been focused on the end user of our products. Doctors, not patients, have often been the ones catered to by the setup of most healthcare systems. From appointment schedules, to our own sales and marketing efforts, the patient is a second thought. Data has always been vital to science, but today’s AI-powered breakthroughs cannot function without vast quantities of high-quality data. That’s a problem, and it’s complicated: first, by the increasing, often-justified privacy worries of consumers and regulators; and then, by the stubbornly siloed data sets that remain unable to work together. Everyone wants fascinating, sci-fi, AI solutions, but the reality is that, to get AI that truly matches expectation and isn’t just smoke and mirrors, it requires a lot of painstaking data maintenance, processing and analysis behind the scenes. As Otsuka’s Mary Michael said in one panel, “People just want to know they’re not alone.” Then they can relax and deal with a diagnosis, a disease, or another problem, much more easily. Today, we all feel overwhelmed by information yet still underinformed; tethered to our devices but not connected to each other. Our global culture has less confidence than ever in who we are told to trust and what we are told to believe. As a result, we seek out experiences that make us feel safer, calmer, able to trust. We can help address this longing. We can help patients, caregivers, and healthcare professionals find the answers, the connection to each other, and the treatments they need. One way that we have been talking about making these connections is by remembering the importance of authenticity, of transparency, humanity, and vulnerability. At a time of increasing skepticism about all sources of information, a memorable catchphrase just won’t cut it. It’s imperative to not just demonstrate that we know. We have to show that we understand. As pharma marketers, our ability to provide clinicians, patients, families and the public with the most current, correct information about our brands and the diseases they treat is key. But we don’t have to sound like robots. Providing valuable information shouldn’t prevent us from talking to our audiences like the humans we are. We can be respected sources – and still be understanding and authentic. 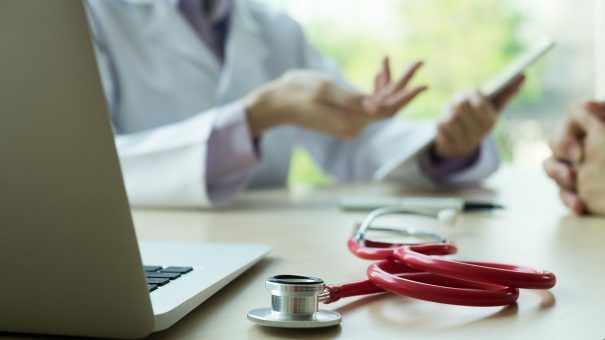 As people take more control of their health and healthcare, brands and providers can stay top of mind by offering more disease-related education, more patient-assistance opportunities, and more transparency when it comes to pricing. As Otsuka’s Mary Michael reminded us, we need to do more than listen; it is within our power to invent solutions to improve patient health and outcomes. Your big thinking can always get bigger from a periodic pulse check. How do you match up against the zeitgeist? Are you hitting the sweet spot between staid and impractical? What are other people thinking about that you’re not? Big ideas turn heads. They make a few people nervous. And they’re always worth talking about. Big ideas that make a difference are what this industry needs. Faruk Capan is the founder and CEO of Intouch Group. Capan has earned cross-industry recognition over the years for his vision, innovative thinking and leadership. 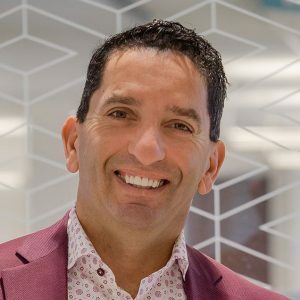 Within only five years of founding Intouch, Capan was named one of Ingram’s Top 40 Under Forty executives, and named one of PharmaVOICE Magazine’s 100 most Inspiring People in Life-Sciences Industry.